Since the early 2000s, the seismic-while-drilling (SWD) market has been held exclusively by one service provider. Now, the SWD landscape is about to change. 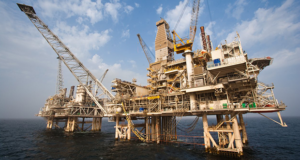 Two more companies – Baker Hughes and Halliburton – will try to shake the market up with new SWD services that promise to help operators reduce risk and improve efficiency. Because today’s seismic-while-drilling systems use surface sources, boats may be needed to shoot the seismic. This can significantly increase the complexity of deployment compared with running conventional LWD service. “It’s usually a big logistics affair to do seismic while drilling,” said Nils Edwards, Baker Hughes product manager – LWD, acoustic and seismic. Halliburton’s system is in limited commercial capability after running a series of trials in 2006 that proved its concept and design. 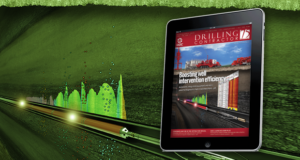 “We are working on the software infrastructure through Halliburton’s Digital Asset initiative, connecting the real-time environment of Sperry Drilling’s acquisition software with the interpretive environment of Landmark’s earth-modeling software,” said Chris Bilby, product launch manager for LWD for the company’s Sperry Drilling business unit. 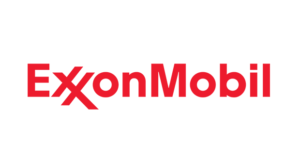 “We have completed the downhole hardware components related to this project and have been fine-tuning the visualization and modeling aspects of the data stream based on customer input,” he continued. There have been approximately 12 customer-involved test runs of Halliburton’s SWD system in the US Mid-Continent and offshore Europe. The integration process with the earth models is not a simple matter, primarily because it involves changing work flows across product lines. “It’s a significant work flow difference from conventional LWD,” Mr Bilby said. 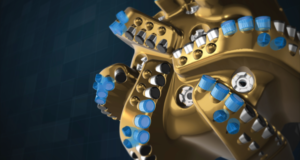 Compared with earlier systems like drill bit seismic, which used the bit as the downhole source, today’s SWD systems flip the configuration around by using surface sources and a downhole receiver. “It’s usually a big logistics affair to do seismic while drilling,” said Nils Edwards, Baker Hughes product manager – LWD, acoustic and seismic. His company is currently introducing a new SWD service to the market. Using surface sources means that significantly higher levels of coordination are required. Especially if boats are needed to shoot the seismic, logistical complexity can increase dramatically compared with conventional LWD. 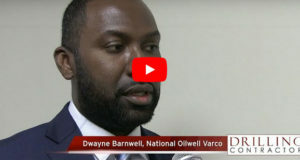 “There’s nothing revolutionary on the technology side compared to what wireline’s been doing… It’s the time saving, the ability to go horizontal and the choice to react to data that brings value while drilling the hole,” Mr Edwards said. Detailed upfront planning is a big part of optimizing the SWD deployment, and this planning must be a multidisciplinary effort. 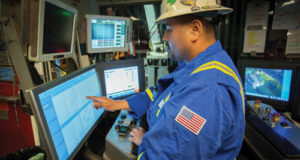 Although SWD systems take their check-shot surveys during connections to minimize interruptions of the drilling process, they still require new technologies, plans and tasks to be incorporated. Additionally, if the operator decides to do extra SWD surveys in between each connection to improve the spatial resolution of the seismic, drilling must be stopped to wait on the survey each time. Alternatively, data can also be taken continually as the BHA is pulled out of hole after reaching TD. Compared with other seismic-while-drilling systems that are getting ready to enter the market, the Schlumberger seismicVISION SWD service has been commercially available since 2003. The technology uses real-time waveforms to image reflectors ahead of the drill bit while drilling. Before this, drill bit seismic had been the only SWD option. According to C Peter Deri, geophysics domain North Gulf Coast, Schlumberger Drilling & Measurements, SWD is a “niche” technology just like all borehole seismic. “Each operator will deploy this technology only to address a specific need such as shallow velocities, proximity to salt or imaging the reservoir ahead of the bit. Each well has unique geophysical challenges and unique solutions to challenges that define ‘niche,’ ” he said. In a recent application, real-time check shots on a three-well, three-block exploration play in Myanmar helped determine the depth of key formation markers. The operator, Daewoo International, needed to determine this depth on three separate blocks being evaluated in deepwater. With an initial depth uncertainty of approximately 100 m from the surface seismic, the company wanted to reduce this number to less than 20 m so that casing could be set safely and accurately. The formation had possible pressure ramp, well instability and pack-offs if the hole remained open for too long. 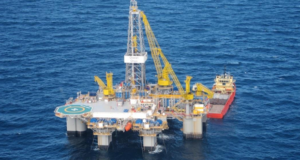 Additionally, two of the three wells were in deepwater, making accurate real-time drilling decisions imperative. 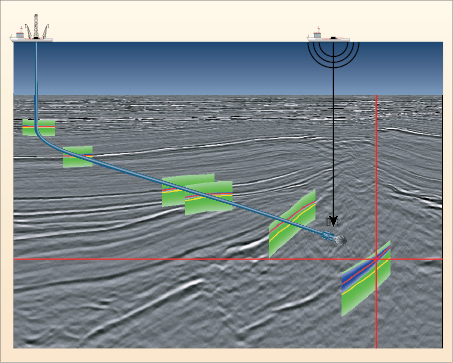 ABOVE: Schlumberger’s seismic-while-drilling service uses real-time waveforms to image reflectors ahead of the drill bit while drilling. LEFT: In a recent application of Schlumberger’s seismic-while-drilling service, real-time check shots on a three-well exploration play in Myanmar helped determine the depth of key formation markers. Schlumberger deployed its SWD service for the project. 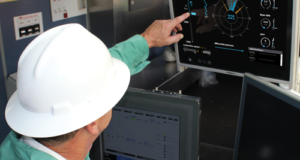 With this service, windowed real-time waveforms were transmitted uphole from the LWD seismic tool using mud-pulse telemetry after acquiring the seismic station during connections without using rig time. The source is a standard three-air-gun cluster at surface deployed from the rig. The check shots were then processed from the waveform downhole and 500 ms waveform sent to surface for quality control, check-shot reprocessing if needed, and look-ahead vertical seismic profile (VSP) processing. The real velocities can be updated and refined while drilling and better predict drilling hazards and targets ahead of the drill bit. Detailed pre-job modeling between the operator and service company, along with check shot acquisition close to the target, enabled accurate updated depth prediction by updating the real velocities and/or using VSP technique using real-time data. For all three vertical exploration wells in three different blocks, the target depth was predicted to within 10 m, allowing safe and successful drilling with casing set at the correct point. These depths were confirmed by subsequent wireline logging runs. Well TDs were set during drilling on the basis of the hydrocarbon sand depth prediction. 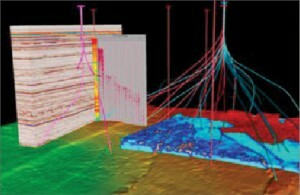 seismicVISION is a mark of Schlumberger. Once initial hurdles are overcome, seismic while drilling can add significant value to many projects, service companies say. 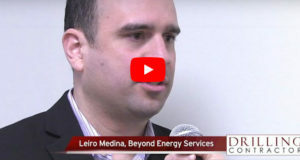 The key benefit can be broadly labeled as “reducing uncertainty.” Primarily, it means that new data acquired through check-shot surveys can be used to continually update the surface seismic model. With SWD data, the operator can reconcile this travel time to depth, effectively allowing placement of the well on the surface seismic map. “The surface seismic map is like a road map, and as you’re drilling down with seismic while drilling, you would know where you are located relative to this road map,” he added. One application of that mapping capability is in geosteering the well toward the target reservoir. “You might realize the reservoir is 20 m deeper than you expected from the initial model. As you’re drilling down, you can actually adjust for it before you hit the reservoir,” Mr Edwards said. SWD can also help reduce uncertainty by helping the operator to see, for example, an upcoming high-pressure zone before the bit gets there. 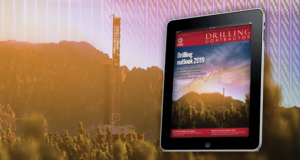 There might be a 70-m to 80-m uncertainty from looking at just the surface seismic, but seismic while drilling would provide a continuously updated model that would alert the operator as this zone is approached. Seismic while drilling also can prove especially useful when drilling through salt, which normally shows up as blank spots on seismic maps. 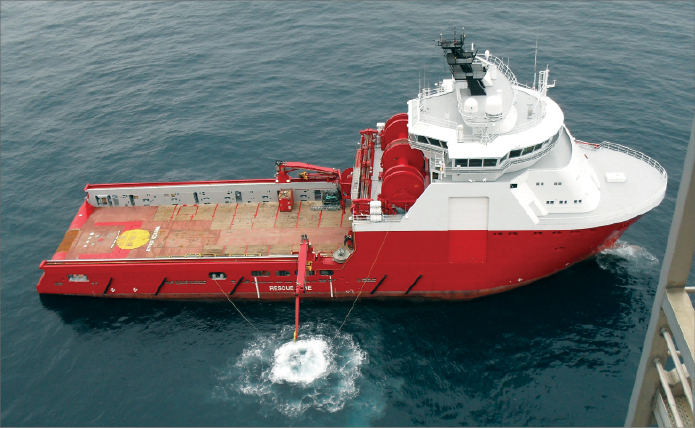 By using SWD and acquiring new data while drilling through the blind spot, you get more details and see boundaries that aren’t discernible on a regular seismic, Mr Edwards said. “A lot of times there’s a rubble zone or a significant risk of hole collapse. If you know you’re approaching that boundary, you can mitigate the risks,” he continued. Being able to spot these hazardous zones or approaching beds also mitigates drilling risk, making SWD a safety tool as well. One of the most critical components of SWD technology, other than the downhole geophones and hydrophones, are the clocks – one on surface and one downhole. “It’s of utmost importance that these clocks are synchronized. Otherwise you’ll be way off on your measurements,” Mr Edwards said. The clocks used by both Baker Hughes and Halliburton are temperature-dependent. It may take up to four days to achieve synchronization by heating them up to approximately 150°C. The clocks are then held at a specific temperature under continuous power to control and minimize frequency variations due to aging and drift. They need synchronization only once every approximately 200 hours to achieve the required accuracy, about 0.167 parts per billion per day, according to Halliburton’s Mr Cornish and Mr Bilby. Mr Edwards noted that, after a calibration phase, the clocks used by Baker Hughes keep their accuracy of 1 ms for at least 10 days. Typically, the surface and downhole clocks require alignment at the beginning of the SWD survey and are compared at the conclusion of it. Although SWD technology carries the potential to “see” up to hundreds of meters away from the wellbore, reality is limited by local velocities (speed of sound in the rock), data quality and telemetry capabilities, Mr Cornish said. “The slower the rock is, the more data you’ll have to telemeter uphole to see the same distance ahead of the drill bit,” he said. Although the downhole SWD tool can record a significant amount of data, only a fraction of that can be sent to surface with current mud-pulse telemetry technology. Once the tool is pulled out of hole, the four-component data set is used to do a full vertical seismic profile processing equivalent to the evaluation process applied on wireline seismic data. There will be a quick interpretation of this data within a day. However, the full process and interpretation phase will take longer to complete, depending on measurement geometry and formation complexity, Mr Edwards said. 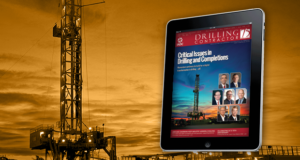 Nevertheless, both the real-time data and the quick interpretation results contain valuable information for drilling decisions. For immediate access to the full memory content right after the measurement, a wired-pipe system appears to be an ideal solution. Baker Hughes has tested its SWD system with wired pipe to prove compatibility of the systems. Halliburton is also in the process of tying its tool into the Intelliserv Network, Mr Bilby said. 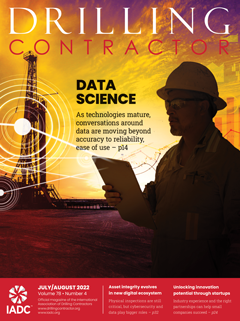 When it comes to operators’ economic considerations for a technology like seismic while drilling, service companies say it’s not always easy to quantify value. What if, by not using SWD, an operator doesn’t hit the reservoir where it was thought to be? What if that operator had to pull back and redrill the well? “SWD has a real value because you can update your model as you’re drilling and steer accordingly,” Mr Edwards said. 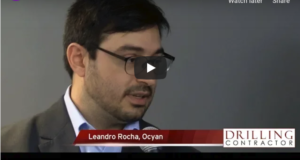 From an efficiency perspective, quantifying value can also be difficult. Service companies have built their VSP systems to take surveys during connections for a couple of reasons. First, there’s too much noise while drilling ahead to get accurate data. Second, surveying during connections reduces interruptions of the normal drilling practice. “There’s no lost drilling time. From that standpoint, we’re efficient,” Mr Cornish said. From another standpoint, efficiency could be questioned. “We can be in a hole section for up to two weeks. If you’re taking surveys at connections, you have to have the surface guns out there. If it’s a directional well, you potentially have to have boats out there to deploy the surface guns,” Mr Bilby said. With wireline borehole seismic survey, the provider may only need to be out at the rig for a day or two to run a complete survey. “Those boats and sources are typically charged by dayrates. A two-day process on the wireline side could turn out to be a 14-day process during drilling, which could reduce the economic incentive for running it where wireline is a feasible solution,” Mr Bilby said. Still another consideration that weighs in is the fact that wells are increasingly going directional and highly deviated, making it harder to get the sensors down on the wireline. “Or when you start to see deteriorating hole conditions, you now can have (sensors) on the drill pipe in the LWD string,” Mr Bilby said. 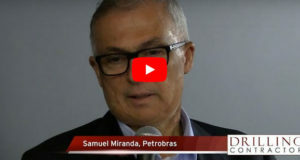 As with most technologies, it will take the support of oil companies to make seismic-while-drilling systems successes, and that will depend on whether operators can sort through the efficiency and cost concerns to see the added operational, drilling and reservoir management value. But not all oil companies will be early adopters. “It’s a different type of people. There are the people who buy the iPad. They run out and buy the latest and greatest because it’s the latest and greatest. Others play it a little more on the safe side,” he said. 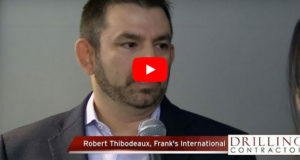 To improve its seismic-while-drilling service, Halliburton is working on connecting the real-time environment of acquisition software with the interpretive environment of earth modeling software. 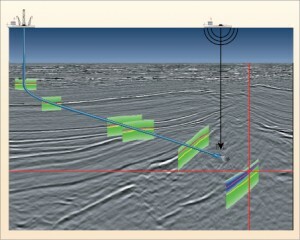 Although it’s become common to say “looking ahead of the drill bit” when referring to seismic while drilling, Mr Edwards characterized the phrase as “at best, a white lie.” Unless the well is vertical, SWD can only provide the capability to see below the bit, not ahead of it, he explained. Especially with the prevalence of horizontal and directional wells today, there is no “look-ahead” capability on most applications of SWD. “You can see below and you can infer things about events ahead of the well path, but only by extrapolation, not by direct measurement,” he said. “It’s misleading to say ‘looking ahead.’ If you’re drilling horizontally and shooting off seismic above, you’re not going to be looking ahead. Because of the 90° geometry, it’s impossible. You can see the speed above the bit, and you might see reflectors from below, but you can’t really see ahead of the bit,” he continued. Current VSP systems that rely on surface sources and geometries are restricted in looking “ahead” versus “below,” Mr Cornish agreed, but said Halliburton is working on changing that. “We have work in progress that’s not commercial yet related to various types of sources that will allow a more focused view of targets ahead of the bit, and I mean ahead of the bit in any situation,” he said. My name is Larue Prescott, known in the drilling field as Rudy Prescott. I would like to apply for a job with your company and I need an application to fill out. I have 30 years experience in drilling seismic, coal, water wells, oil and gas. Please contact me when you can.